Yeppoon, Central Queensland, is a sunny coastal town approximately 40 kilometres east of Rockhampton, and 700 kilometres north of Brisbane. Surfside Motel encourages you to make the most of Yeppoon’s surrounding attractions and activities. With a spectacular view of the beach and a refreshing costal feel this is the perfect place to enjoy entertainment, sunsets and sails. The Keppel Bay Sailing Club Clubhouse is located right on Yeppoon Main Beach, so patrons can enjoy fantastic views of Keppel Bay and the islands, while they relax in modern, air-conditioned facilities. 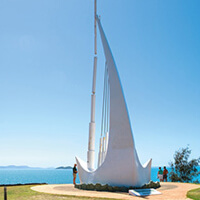 Discover the beaches, bushwalking tracks, great fishing spots and the historical museum of the Capricorn Coast’s second largest township, Emu Park, where you can see the Singing Ship, a sculpture honouring Captain James Cook’s exploration of the coastline. Further south at Joskeleigh, visit the South Sea Islander Museum and view the photographic display of the early Kanaka settlers who were slaves during the sugarcane days. 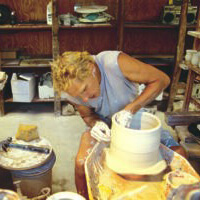 Nob Creek Pottery is one of the few craft galleries in Australia, which still prides itself on selling only Australian made work. Steve’s specialty is wood firing. That is, producing ceramic pieces which are fired in a kiln using wood as the fuel. He uses a huge anagama kiln which he constructed about 15 years ago. 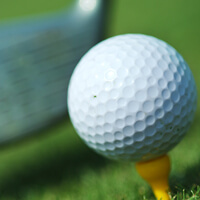 The 18 hole course is not particularly long at 5766m off the blue tees (5171m for the ladies) but it is relatively tight, being contained within an area less than 40 hectares and out-of-bounds threatening on 8 holes. Water is potentially in play on five holes, and there are a total of 6 strategically placed fairway bunkers along with 27 green-side bunkers. Secluded beaches, crystal-clear waters, plunging cliffs and diverse plant communities are some of the attractions of Keppel Bay Islands National Park. There is also a wide array of native wildlife – both on land, air and in the sea! 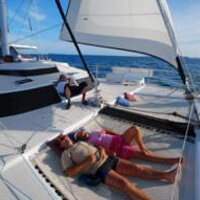 Join Hans and Di on their 60 foot sailing cat for your trip of a life time to Great Keppel Island and the 18 Islands of the Keppel Group. 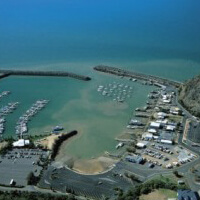 Departing from Rosslyn Bay Harbour at Yeppoon, you are guaranteed a sailing experience you will remember, snorkelling, fishing, swimming or just kicking back. 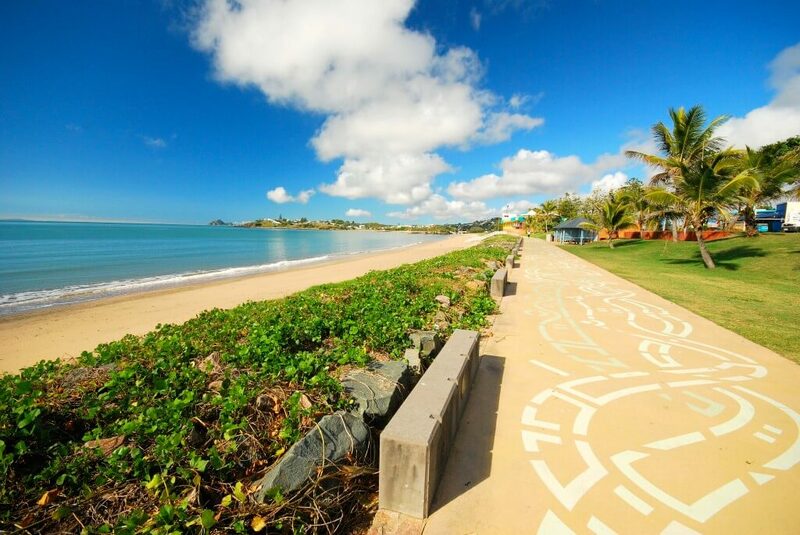 A visit to Yeppoon is not complete without exploring the Islands of Keppel Bay. 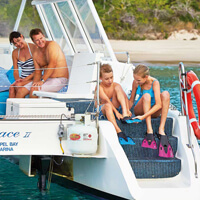 Meet the dolphins, turtles and fish of this wonderful area on Grace, crewed by her owners Anthony and Vicki. Whether it is a full day of sailing, snorkelling, swimming and enjoying a delicious lunch or a beautiful sunset sail taking in the breathtaking splendour of the Keppels at sunset,we have something to suit you. Cruising the Keppels is Freedom Fast Cats’ specialty. 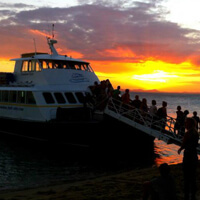 Enjoy the marine life from the comfort of the glass bottom boat on a Coral Cruise or immerse yourself in the underwater world with a full day snorkel tour cruise. Protected from the elements behind an enormous volcanic outcrop, Rosslyn Bay is just seven minutes’ drive south of Yeppoon on the beautiful Capricorn Coast. The steep volcanic outcrop that shelters the bay was formed over 70 million years ago and is one of the most fascinating geological formations in the area. A short, but vigorous walk to the summit reveals magnificent views of the Keppel Islands, the surrounding coastline and volcanic formations. Koorana Crocodile farm was opened in November 1981. 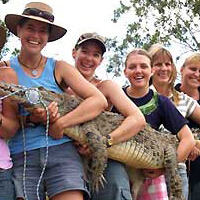 It was the first commercial crocodile farm in Queensland. There was no stock available to start the farm so John & Lillian Lever captured crocodiles from the wild that were proving to be a danger to people. 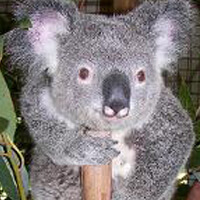 You can Cuddle a Koala, Hold a Crocodile, Snake or lizard, Play with Birds, interact with playful Monkeys and hand feed Kangaroos! 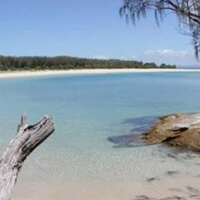 They can be found just 28 minutes from Rockhampton and 15 minutes from Yeppoon Beach.